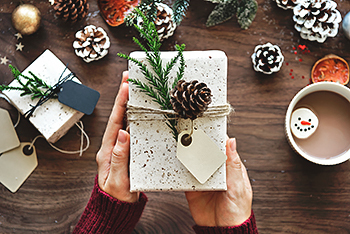 A recent survey found that 41% of employees say that the number one holiday gift they want from their boss this year is a holiday bonus. However, 46% say that holiday bonuses are not given at their company, with 13% going on to describe their boss as “stingy” this time of year. “It’s a tricky line to walk because you don’t want to seem like Scrooge, but at the same time, giving out bonuses to each employee is not necessarily feasible for many companies,” says Rob Wilson, human resources expect and President of Employco USA, an employment solutions firm that works with clients across the country. Wilson also says that many employees can struggle with holiday giving as it relates to their own colleagues or managers. “Not only do many workers feel chagrined if they don’t receive a bonus from the boss, but they also have the added pressure of figuring out what to give their boss or managers, and how much to spend on coworkers,” says the employment trends expert. Previous Article As Marijuana Gains Legal Status, Can Employers Still Fire You for Testing Positive for Marijuana?